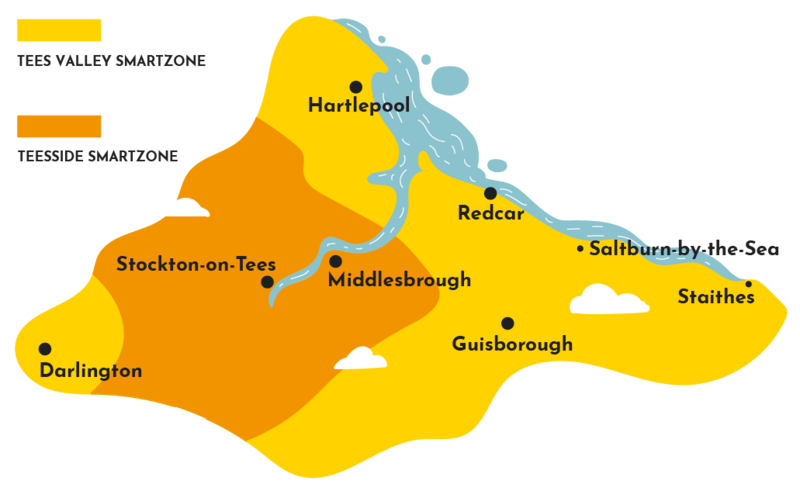 choose between two zones and we’ll take care of the rest. 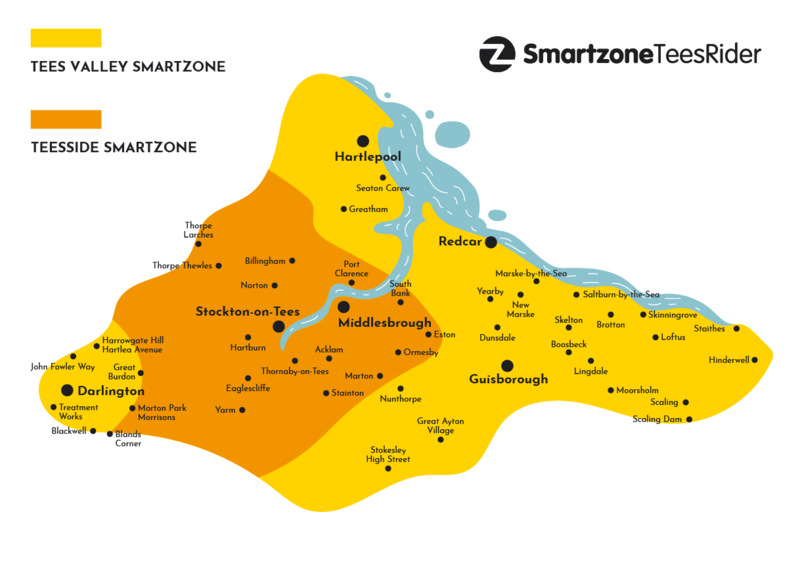 The Smartzone TeesRider is valid on all Arriva, Go North East and Stagecoach buses across the Tees Valley, so wherever you’re off to we'll get you there, no problem. 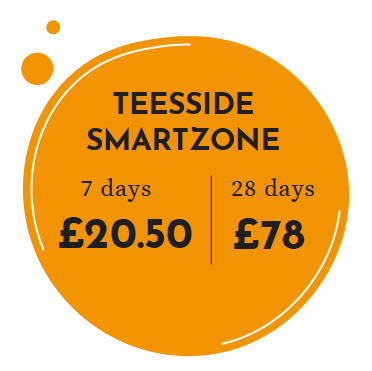 Stockton or Saltburn, Middlesbrough or Marske and even Darlington or Hartlepool, the Smartzone TeesRider will get you there, all on one ticket. Whether going near or far. 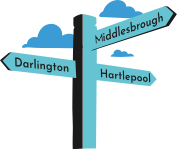 Whether you want to travel around Teesside, or the Tees Valley, you can get there for one price. Choose from a seven or 28 day ticket then climb onboard. 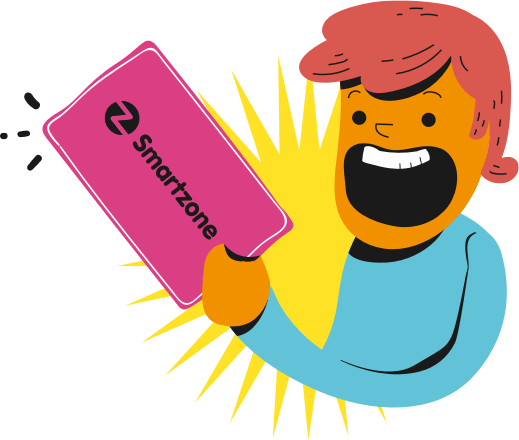 The Smartzone TeesRider is loaded onto your existing Arriva, Go North East or Stagecoach smartcard either online, or on the bus. 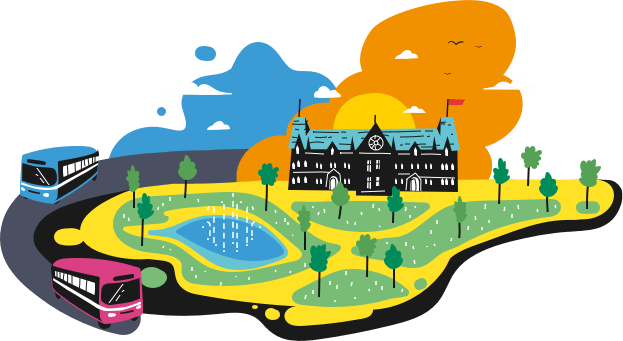 Weekly tickets can be purchased online or on the bus. 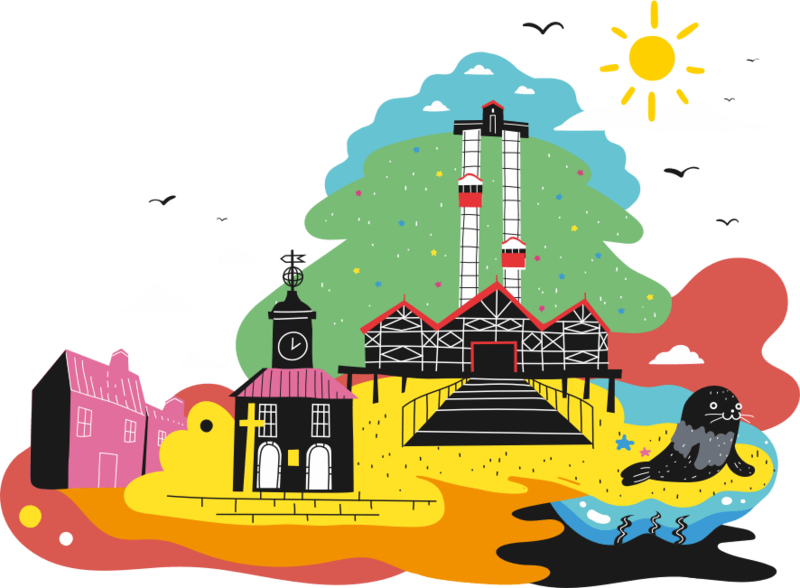 Monthly tickets can be purchased online only.